Whether it's through education grants, mentoring, or homework assistance, UDEF strives to make a difference in the lives of our students. The foundation is proud to partner with the Upper Dublin School District, the community, area businesses and Upper Dublin Township to enhance the learning experiences at our schools. 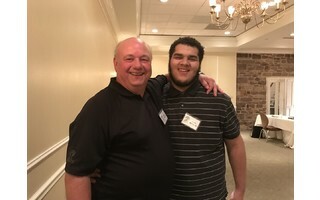 Cardinal Opportunities is a mentoring program supported by the community at large, the Upper Dublin Education Foundation and Upper Dublin School District. The objective of the program is to provide Upper Dublin High School and Middle School students a better chance to succeed with the assistance of supportive, objective and caring adults. 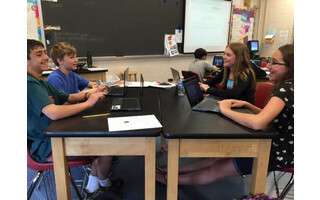 The Upper Dublin Education Foundation's Grant Program is designed to encourage innovation and to develop resources and meet needs that are not addressed in existing District programs. We are now accepting applications for the May 1 deadline. 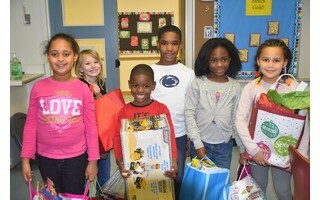 UDEF has funded more than $100,000 in classroom grants and continues to respond to the needs of the school district. We are grateful for the generous support from individuals, corporations and private foundations that make our Grant program possible. 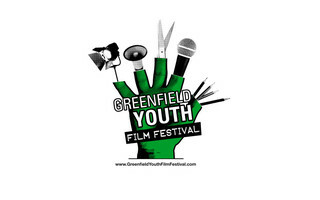 A partnership between the Greenfield Foundation and the Upper Dublin Education Foundation, the Greenfield Youth Film Festival is a forum for young filmmakers from the metropolitan Philadelphia region to collaborate, create and showcase their work while expressing their creativity through film. The Upper Dublin Medals Program is perhaps the most prestigious of all area recognition programs and this year celebrates its 35th annual event. 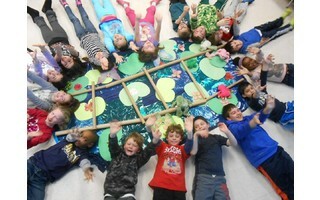 The North Hills Education and Recreation Program provides enriching experiences throughout the year for many school age children living in the moderate to low income neighborhood of North Hills in Upper Dublin Township. We help secure funding for this after school program, teen mentoring program and summer day camp that provides one-on-one tutoring, educational reinforcement, guidance, encouragement and great recreational outlets to help level the playing field for less fortunate youngsters. The after school program runs for approximately 32 weeks of the school year for children ages 6 to 18 in the North Hills neighborhood. Well-attended teen discussion groups and other enrichment activities are held in the evenings. The program continues as a five-week summer day camp offering a combination of continued educational instruction 12 hours per week followed by enjoyable youth sports, a variety of recreation activities and enjoyable field trips. The camp serves as a bridge from June to September to maintain academic progress over the summer months. A major goal of the summer camp is to allow underserved kids the opportunity to be engaged in the same wholesome summer experiences as their peers. We are committed to supporting the district's strategic planning for implementation of this program, helping to subsidize the 1-to-1 learning environment. 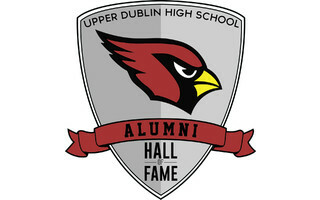 Inaugurated in 2017, the Upper Dublin High School Alumni Hall of Fame is designed to honor alumni who have achieved distinction, outstanding accomplishment or significant contributions within their professions, in their communities or in the world. The program also provides positive role models and promotes excellence and inspiration for current students. Is there a teacher, principal, nurse, bus driver or other member of your school community who has made a difference in your child’s life? Here’s your chance to say “thank you” in a very special way. The Pennsylvania Department of Community and Economic Development (DCED) has certified the Foundation as a participating organization in the Commonwealth’s Educational Improvement Tax Credit (EITC) Program. This program awards tax credits to businesses that make contributions to approved Educational Improvement Organizations (EIOs). State tax credits can be obtained by eligible businesses contributing to an Educational Improvement Organization such as UDEF. Corporations can apply to have up to $300,000 in tax credits approved for donations. Corporations get a credit of 75 percent for one year donations and 90 percent credit for 2 year donations. Tax Credits may be applied against the tax liability of a business for the tax year in which the contribution was made. This is a WIN-WIN proposition for all parties. Learn more under Frequently Asked Questions.